Sled Dogs is the first documentary to look at what happens at sled dog operations and the Iditarod once the tourists go home. This film weaves together various characters and narratives to explore a truth about the dog sledding industry while posing the question: “Is the abuse seen against “man’s best friend” disguised as entertainment? Picture yourself flying along a frozen, winding trail surrounded by wild boreal forests with only the whisper of sled runners beneath you and a howling pack of dogs to break the solitude. With this in mind, it’s easy to understand why year after year thousands of tourists flock to experience one of the most quintessentially Northern pastimes: dog sledding. This idyllic portrait has been promoted by both the tourism industry and the dog sledding world for decades in an attempt to maximize profits while concealing a sometimes gruesome reality. 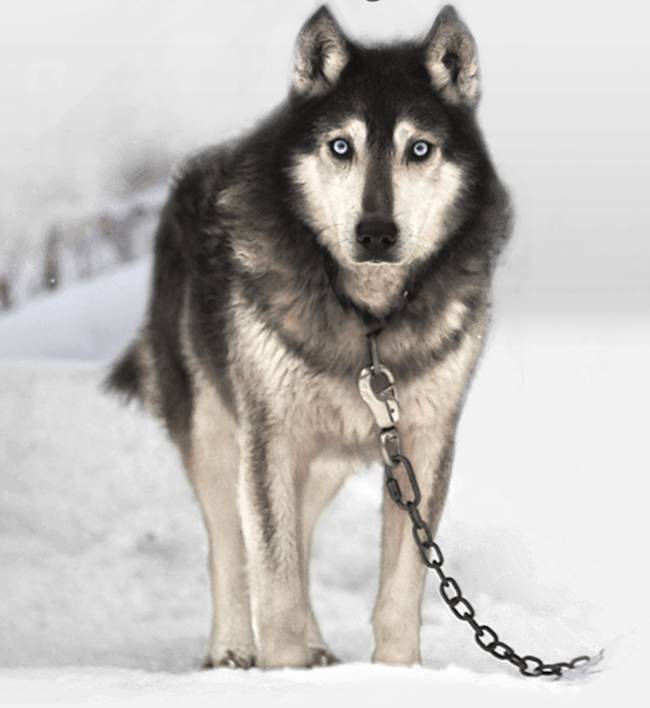 Dogs in many commercial dog sled companies are continually tethered to a chain and euthanized when they’re deemed no longer useful. In 2011, the public finally learned the truth after an incident in Whistler, B.C. made international headlines: One hundred dogs were brutally murdered and thrown into a mass grave by a tourism company after an unprofitable season. Sled dog companies along with the B.C. government decried the practice, claiming it to be an isolated occurrence; but animal rights activists maintain that this practice is pervasive throughout the entire industry. As seen in the film, the trial of Dan MacEachen in Colorado will once again bring the sled dog industry into the public eye. Dan, who was the owner of one of the largest dog sledding companies in North America, was charged with eight counts of animal cruelty. If he was found guilty, the case would spark a much-needed debate about animal rights laws in North America. This is not the first time concerns were raised against MacEachen. In 1988, he was charged with animal cruelty, but the charge was dropped and Dan continued to run his sledding operations until 2013. “The Last Great Race”, Alaska’s Iditarod, is one of the largest financial pillars in the northern community and is a tradition well loved by mushers and spectators alike. Thousands of tourists flock each year to watch as teams of sled dogs run over a thousand miles across Mother Nature’s harshest landscape. Some of the Iditarod supporters claim that sled dogs are “canine athletes” and love the challenge of the sport. They claim that sled dogs are born and bred to race and are “different” from other dogs. Animal rights critics along with some former mushers fervently disagree and claim that these statements are used to justify animal abuse and keep a misinformed public in the dark. Sled Dogs is the first documentary to explore both sides of the dog sledding industry. This film weaves together various characters and narratives to explore a truth about the dog sledding industry while posing the question: “Is the abuse seen against “man’s best friend” disguised as entertainment?